Lebanon’s new government should prioritise electricity reform after having spent months wrangling over the cabinet make-up, World Bank and U.N. officials said on Friday, seeking to address daily blackouts and massive costs to the state. 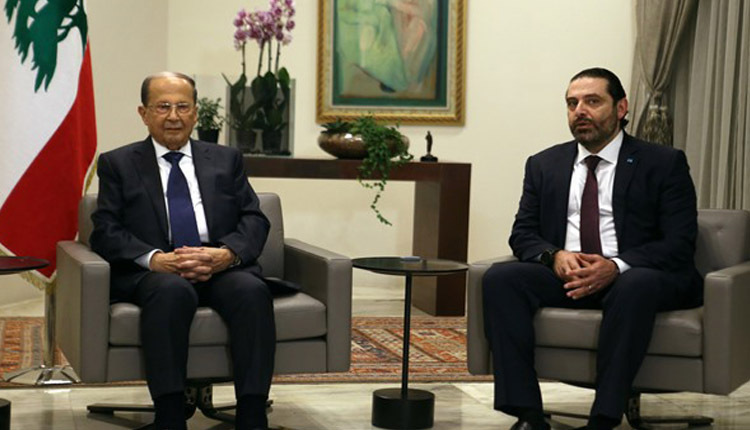 The government was finally formed late on Thursday and Prime Minister Saad al-Hariri said Lebanon needed “bold reforms”. It has suffered years of low growth and has one of the world’s biggest public debts compared to the size of its economy. Foreign donors have promised to invest billions of dollars in Lebanon’s weak infrastructure to help get its economy moving, but will not release most of the money without steps to curb the deficit. Hariri’s government should prioritise reforms that Lebanon committed to at a Paris conference last year where donors pledged support, said Philippe Lazzarini, the U.N. resident coordinator in Lebanon. “Making progress on the fight against corruption and reforming the electricity sector will be essential to restore confidence, revitalise the economy and promote growth, stability and employment in the long term,” he added. French President Emmanuel Macron said on Thursday France would “accompany Lebanon on a path of economic and social reforms”, especially through implementing the investment programme agreed at the Paris conference. Saroj Kumar Jha, the World Bank regional director for Lebanon, Iraq, Syria, Jordan and Iran, said electricity was “the area where we want to move in very quickly”, with the bank bringing concessional funding to help reforms. Lebanon’s power stations use expensive heavy fuel, and state utility Electricite du Liban (EDL) cannot afford to provide 24-hour power, leaving consumers to rely on costly private generators. In November, parliament had to approve over $400 million in extra-budgetary spending on fuel to avoid blackouts, adding to Lebanon’s spiralling debt. The sector’s problems put off investors and create “tremendous fiscal pressure on the government”, which sinks large sums in subsidising state-supplied power, Jha said. “I would strongly recommend they prioritise the energy sector engagement,” he added, saying he believed there was consensus on this within the new coalition government. However, London-based Capital Markets senior emerging markets analyst Jason Tuvey said he was sceptical the new government could enact major reforms to free the pledged aid. “Its not clear whether they can actually agree on these measures, so there will be some aid that will continue to be locked up,” he said. Jha wants Lebanon to move ahead with a plan to “corporatise” state power utility EDL and to cut state subsidies of power, while providing a safety net to poorer consumers. The government also needs to ensure it can attract investors for the process of switching from heavy fuel to cheaper gas, and work on its creaking transmission and distribution, Jha said. Lebanon hopes to develop its own gas reserves and is exploring offshore, but in the meantime it wants to use imported liquefied natural gas to fuel new power plants and has issued a tender for temporary import facilities. At the Paris investment conference, Hariri’s last government proposed two independent power projects, each with capacity of 500-600 megawatts and needing investment of about $600 million.